As you know, I’m in Florida!! Now, instead of gazing hopelessly at a computer screen and wanting all the Hot Topic products, I can actually go and get them! Today I’m sharing my Hot Topic Wish List with you and you’ll just have to wait and see if I come back with them all! A. Dumbo scarf – ever since buying my Princess Quotes scarf and my Doctor Who one, I’ve realised just how much I like wearing a scarf. This Dumbo scarf is a little different to the ones I have, as its an infinity (loop) scarf instead. The print is so cute though and I think I’d genuinely get a lot of wear from it. B. Belle compact mirror – I’m a huge fan of this more grown up style of sketch and as Belle is my favourite princess, this mirror really appeals to me, even though I’d barely use it I’m sure. It’s neat and stylish though and it would make a great edition to my handbag. C. Anna and Elsa Pocket Pop Funko – I mentioned in my wishlist post last week, that Megan and Lily already own the Pop Funko figures of Anna and Elsa, but that they stay in their room, rather than with my collection. I’d love to get these pocket figures, just to sit with my collection and represent! D. Once Upon a Time’s “Evil isn’t born, it’s made” vest/tank top – as yet, I haven’t bought any vest tops from Hot Topic, largely because I really went off them as an item of clothes, due to my fat upper arms. However as summer comes around again and now I’ve lost a little weight, I’ll be looking forward to embracing them again. This t-shirt is just amazing and it would definitely be one of my “must-haves”. There are loads more though, to be honest. E. Alice in Wonderland/The Little Mermaid tights – If you read my shopping post a few weeks ago, you’ll know that in preparation for this holiday, I bought myself some new dresses. One of those was Alice in Wonderland and the other was The Little Mermaid. Obviously in Florida it will be far too warm for tights but when I come back I’d love to keep on wearing my dresses. As such these cute tights would couple nicely with each dress, to make an awesome colder weather outfit. F. Daryl Dixon’s Chopper – I’m going to ignore the innuendo in the title of this product and just point out that it’s a Pop Funko figure of Daryl Dixon on his motorbike. While majority of my Pop Funko wants are Disney related, this is one of the few that isn’t. Daryl is a character from The Walking Dead and has long been my favourite character. I’d love to get this figure to add to my collection, just as he’s so awesome. G. Beauty and the Beast/Rapunzel hairbrush – these hairbrushes first arrived on the site before Christmas and I really wanted one for the girls but honestly we don’t really need them. However I love the Beauty and the Beast one and would happily throw out my current one, in order to replace it with that. For the girls I’d like the Tangled one as it just makes sense – Rapunzel has long hair that needs brushing, so what better choice is there? H. Rapunzel umbrella – I honestly do not need another umbrella. My first ever brolly was Sylvester and Tweety Pie and I still have it to this day. Just before Christmas I bought myself an Alice in Wonderland one from BHS and I think I’ve only used it twice. 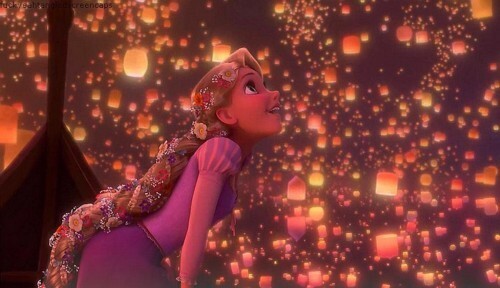 However I do love the lantern scene from Rapunzel and that makes this umbrella almost irresistible to me! I. Villains backpack – for a long time I fancied the Beauty and the Beast stained glass window backpack, but really it was just a little “loud” in colour for me. However when this Villains one came along, I was sold. Anyone who knows me, knows I have such a soft spot for Disney Villains. That makes this backpack straight out cold – regardless of the fact I so rarely use a backpack! J. TWD Crossbow keychain – I definitely don’t need another keyring and yet I want one. This keyring is Daryl’s crossbow (from Walking Dead) and a tag that reads “Fight the Dead, Fear the Living”. Mostly I want it because of Daryl, but it’s cool and it’s about time I had something to represent my Walking Dead fandom. So right now, these are the things I have my eyes on! Look out for a Hot Topic haul post when I return from my Florida trip! 120 Days till Disney – and counting!! I’ve mentioned recently that the girls and I have had a TOP SECRET Disney project going on and this is it! Over the last month we have been making our very own Countdown to Disney, in the form of Paperchain Princesses, each with a Disney activity inside of their loop. Our countdown started yesterday, which was actually 121 days till we go to Florida, but since we won’t be doing anything on the day before we fly either, its out 120 Day Countdown. December is Elsa, January is Tinkerbell, Rapunzel is February and Anna is March. The girls made the top parts themselves, but I’ve helped with the writing on the chains and sticking it all together. It’s been quite a big project but we got there in the end! Over the next four months, we’re going to be going even more Disney crazy than ever. We have all sorts of activities planned from reading Disney stories, to dressing up in Disney costumes. We’re going to make Disney inspired food and also do Disney themed crafts. 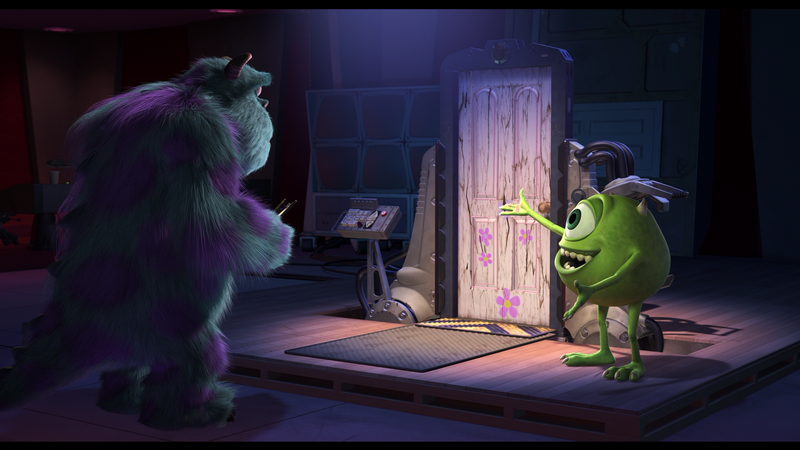 On top of that we plan to watch every Disney movie we own – and maybe even some we don’t! It’s going to be a huge big Disneyfest and I’ll be updating weekly to let you know what we’ve been up to. You can also follow along on Instagram, where every day I will be posting our Disney task of the day!